Use the auto attendant feature to allow callers to be transferred to an extension based on their selection from a menu, without help from a live operator or receptionist. Unanswered calls to a number or extension are delivered to a voice prompt that allows callers to choose from multiple options (e.g. another extension, an external number) or deposit voicemail. Voicent Live's business phone system makes it easy to handle calls differently during different times of the day or during holidays or other events that impact your normal call flow. For example, the auto attendant during business hours may provide options to reach sales or support, while the after-hours attendant only offers voicemail or recorded messages. This flexibility can relieve frustrated callers by informing them immediately about your availability and their options. This solution can be customized to also be deployed during an emergency that impacts your normal business operations. Direct callers automatically based on CRM information or set up extension groups so that callers can go where they need to go. Automated Call Distribution (ACD) plans can route specific types of calls to the particular staffers with the relationships, expertise or language fluency best suited to the caller. Voicent Live's business phone system can even be used to identify the calls of individual customers and greet them by name before routing them to the person best suited to help the customer. Create and specify your extensions quickly and easily. Voicent Live's business phone system features the ability to play different audio files as on-hold music for different extensions or phone numbers within your phone system. Transfer calls to other agents or extensions with just a push of a button. Also included is the ability to chat with other agents through the agent dashboard software. This business phone system provides the ability for the phone system to interact with a computer system. Examples are a user clicking on a telephone number on the screen and the phone system automatically dials the number (which reduces wrong numbers and saves time). Or, when a customer calls in, the phone number from the caller ID is passed to the computer and the customer's account is automatically displayed on the screen before the employee answers the phone. Set up and conference in multiple callers on the fly with a simple click of a button. Monitor which phone lines are in use and by which of your agents all from a convenient and simple interface. Also included is the ability to "whisper-coach" your agents on the line, allowing your managers to hear agent conversations and coach the agent while a live call is in progress. Meanwhile, the customer still only hears the agent and not the manager. Users can navigate to the phone screen to retrieve and otherwise visually handle voicemail messages. Or send a voicemail notification with the WAV sound file attached to any email address. Chat with co-workers anywhere in the world. Use Voicent's dashboard to eliminate multiple, unsecure, and unmanaged instant messaging applications. 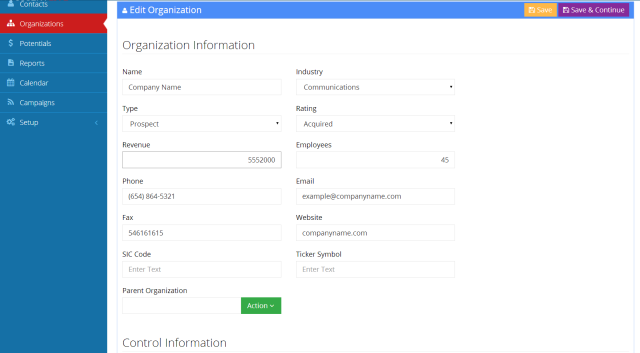 A dial-able list of users and extensions of your enterprise's Voicent Live Phone System can be easily accessed from the Dashboard.